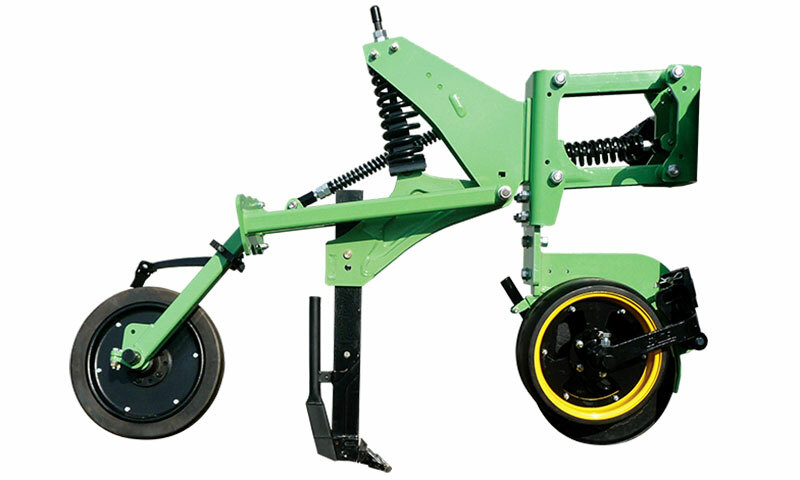 Based on the CR600 row unit the VT110 operates with a double disc assembly in place of the front coulter drum. This combination provides the unit with flexibility to operate as a double disc unit or a tyne unit with very little downtime in changeover. VT110 Parallelogram Tyne Unit can also operate as a ‘one pass’ unit by utilizing the double disc and tyne at the same time. Excel recommends this parallelogram tyne unit for both winter and summer cropping where there is a requirement for shallow to full 8" moisture seeking ability, trash and stubble cutting ability, accurate seed placement, minimum soil throw and disturbance. Low draft tyne with pin depth adjustment. Can perform as a disc or tyne unit with little downtime. Horsepower requirements 3-9 H.P. per row unit. Contact us at Excel to discuss your Broad Acre VT110 requirements.